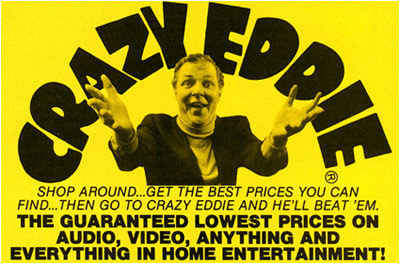 ...because, like Crazy Eddie, my prices are INSANE. Baseball cards qualify as "home entertainment," right? Just look at the teams left on our show floor! 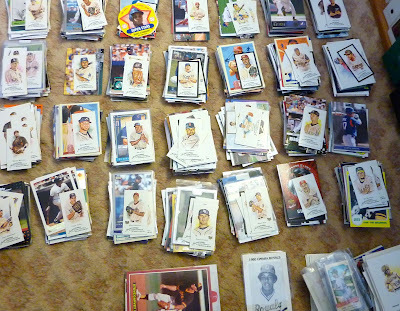 No price is too low for these cardboard beauties, especially when the only price is free. WHAT TO DO: Add a comment naming your Top 5 Teams from those listed below. I'll leave the comments open through Friday, Mar 16th and will use the rankings and flip some coins to pick between multiple claimants. UPDATE: OK, entries are closed! I'll summarize them and send out cards starting Monday, March 19. Oh, I got so excited I forgot to say THANK YOU! Pirates, Royals, Red Sox, Rangers, Blue Jays. Thanks for offering the cards.